It's the first Wednesday of March--that means it's IWSG Day! 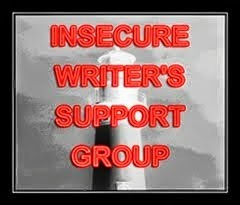 The IWSG is a large support group of writers and we post every first Wednesday of the month, following the lead of the founder, Alex J. Cavanagh. Our co-hosts for March are IWSG will be Tamara Narayan, Patsy Collins, M.J. Fifield, and Nicohle Christopherson! Have you ever pulled out a really old story and reworked it? Did it ever work out? First, define "really old." Have I pulled out a story I wrote in college and reworked it? No. Book the First was pretty much the last gasp of anything I was holding onto from college. But Pearl was basically a completely gutted and reworked version of a novel I wrote, which I'm now picking apart and expanding for other stories, because you don't actually need that crap novel to understand the stories, I think. The story was better from Pearl's POV. Anything older than, say, the beginning of this blog isn't really worth revisiting. It's not complete; a lot of it is slapdash and I don't think I could really relate to the characters anymore, if indeed those characters were characters and not just my friends placed into a story. Also, we don't talk about the reams of fanfiction I wrote pre-, during, and post-college. Hmm, I wonder if shelving a novel for three years and then reworking parts and editing it counts? Because I did that once, right after college with the book I wrote my freshman year. It didn't helped too much, but I felt better. :D Other than that, I'm always planning to rework something, but I haven't actually done it yet. Haha. I mean, I have another novel I wrote--I think it's tagged on here--but I have no plans to redo that thing. It was *so* disjointed and melodramatic and angsty. I do wonder if we lose our attachment to characters over time. I'll be curious to see in say ten years time if I can relate to the characters I'm writing about now. I think I certainly did--but then again, my characters weren't really all that character-like for a while, so there's nothing there to relate to! Ha! Hey, nothing wrong with fanfiction. Writing is writing, and you can improve your craft writing anything. True, but they were real person fics and frankly, they were terrible. I can pick out certain lines, turns of phrase, characters that I like in old things, but yeah, in general, nothing I'd want to revisit. At least your really old novel you wrote turned into something better, like Pearl. And you have fodder for other stories. I say woot to that! True, true. I'm basically ripping it apart and spinning better stories out of it. Pearl is a wonderful story! Your *ahem* moment at the end of the post made me smile.